This is a trailer for Curvature. It was written by Brian DeLeeuw, directed by Diego Hallivis, and stars Lyndsy Fonseca, Glenn Morshower, and Linda Hamilton. It will be released in select theaters and on VOD on February 23rd from Screen Media Films. Check out the synopsis and trailer below. 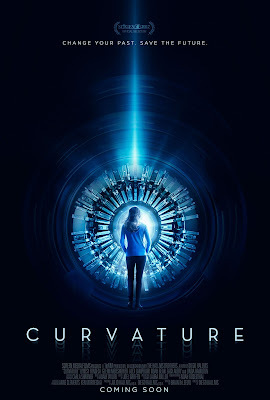 "A scientist must break into a top-secret facility in order to travel back in time and prevent a murder after receiving a mysterious phone call from herself."